The weather here is crazy today! A total downpour of rain, gusts of wind, and waves crashing up on the shore. This soup is exactly what this kind of weather calls for. Soups are one of the reasons I find myself looking forward to weather like this because it means snuggling up to a bowl of hot comfort. 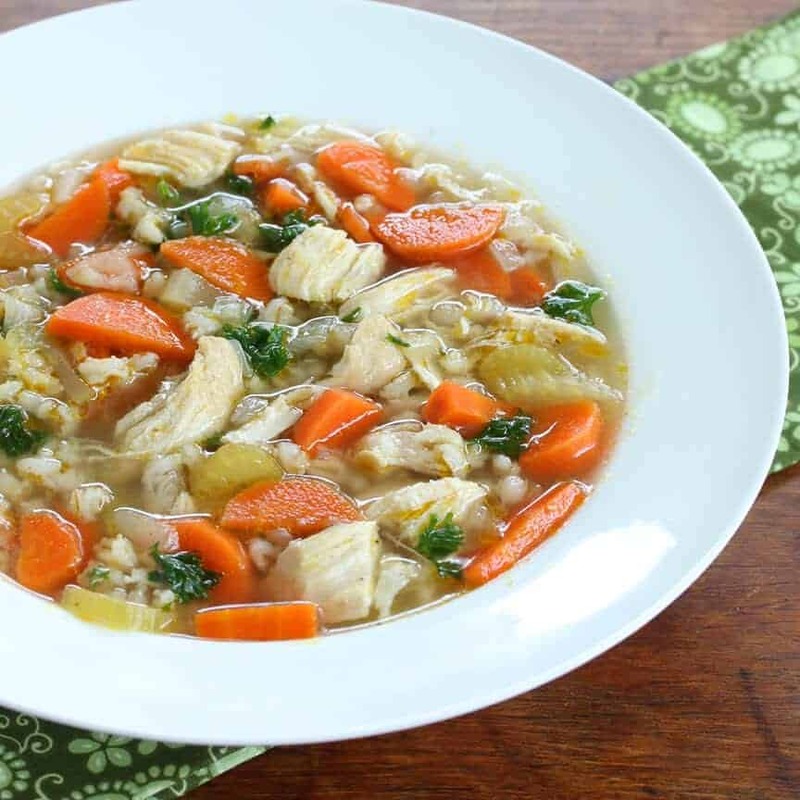 Here is my recipe for a classic chicken barley soup that is rich in flavor, packed with nutrients, and satisfying to both tummy and soul. Barley is such a fabulous tasting grain and I wonder why we don’t use it more often. Though it was one of the first ever domesticated grains, is the 4th highest produced grain in the world and is a staple in some cuisines around the world, it isn’t much for cooking in the U.S.. It’s still widely used in the production of cereals, animal food and beer, but it’s not often that you see dishes featuring barley. Perhaps that stems from barley having been designated as peasant food during medieval Europe while wheat was regarded as the grain of the upper class. But for flavor and nutrition I would take barley over wheat any day. What are some ways you use barley in cooking or baking? Share your ideas in a comment below! 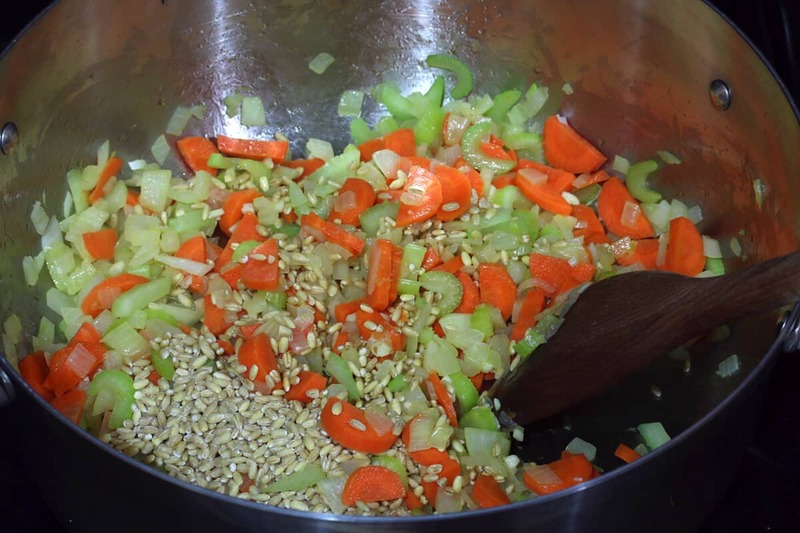 Barley adds a delicious flavor and texture to this soup in the same way it does to this Hearty Beef and Barley Stew. It’s simple to make and the leftovers taste even better the next day. 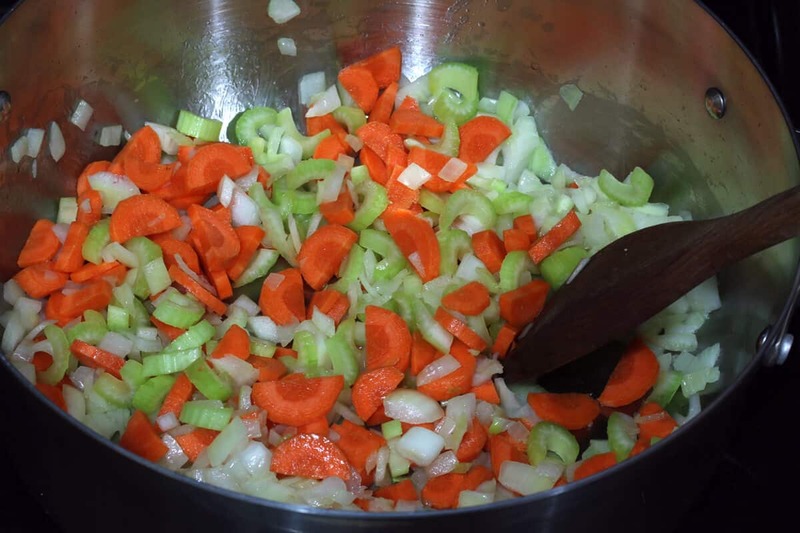 Sautéing the vegetables before simmering the soup brings out their sweetness and flavor so don’t skip that step. Heat the butter over medium-high heat in a pot. Cook the onions until soft and translucent, 5-7 minutes, then add the garlic and cook for another minute. Add the carrots and celery and cook for 10 minutes. This will bring out more of their flavor. Add the barley and cook for another minute. Add all remaining ingredients except for the parsley. Bring it to a boil, reduce the heat to medium-low, cover and simmer for one hour. 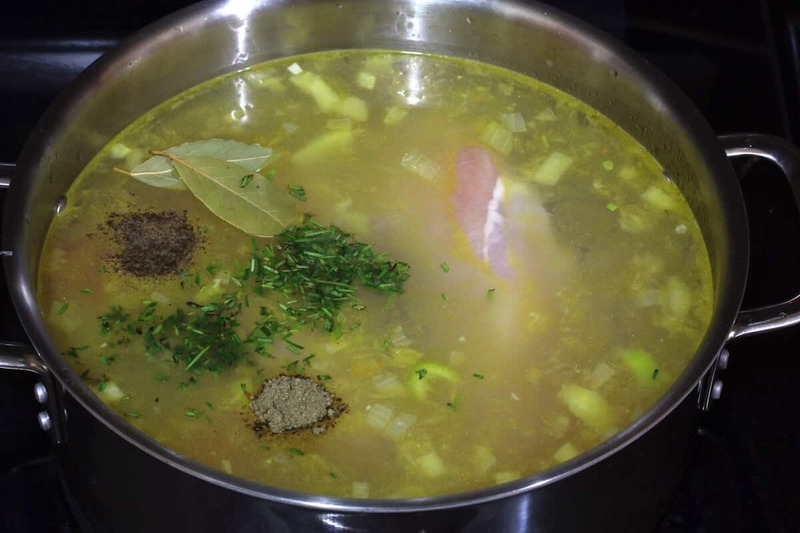 Remove the chicken, remove the meat from the bones and dice it, discard the skin and bones, and return the meat to the soup. Add the parsley. Simmer for another minute until heated through. Add salt and pepper to taste. 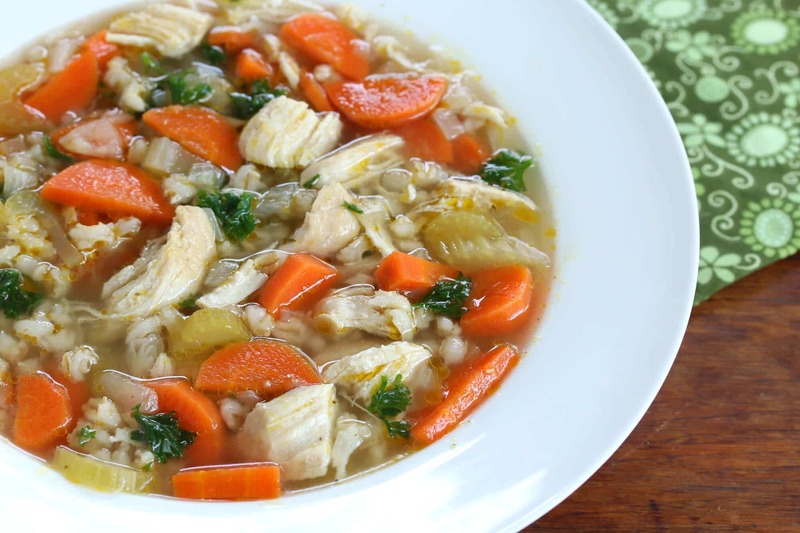 Deliciously flavorful and nutritious, this soup will warm both body and soul! Heat the butter in a pot or Dutch oven over medium-high heat. Saute the onions until soft and translucent, 5-7 minutes. Add the garlic and cook for another minute. Add the carrots and celery and cook for another 10 minutes. Stir in the barley and cook for another minute. Add all remaining ingredients except for the parsley. Bring it to a boil, reduce the heat to medium-low, cover and simmer for 1 hour. 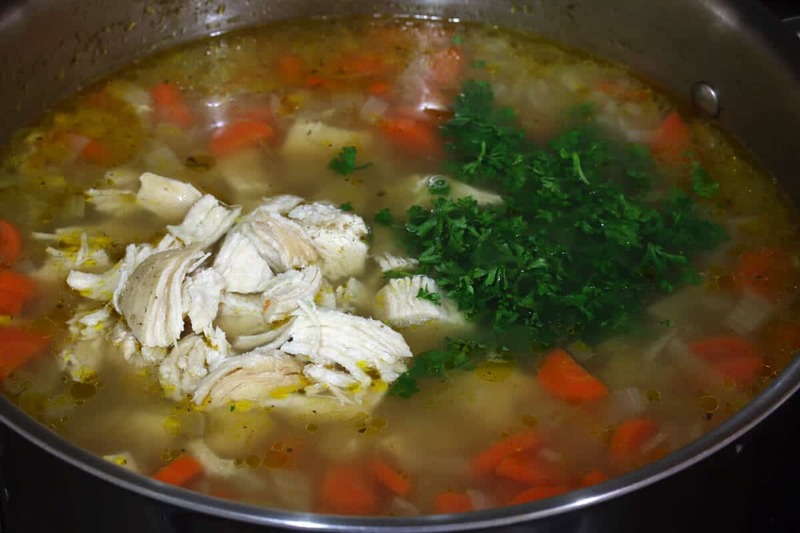 Remove the chicken, remove the meat from the bones and dice it, discard the skin and bones, and return the meat to the soup. Add the parsley. Simmer for another minute until heated through. Add salt and pepper to taste. This soup tastes even better the next day. The barley will swell and soak up more liquid so you may need to add a little extra broth when reheating. More barley? 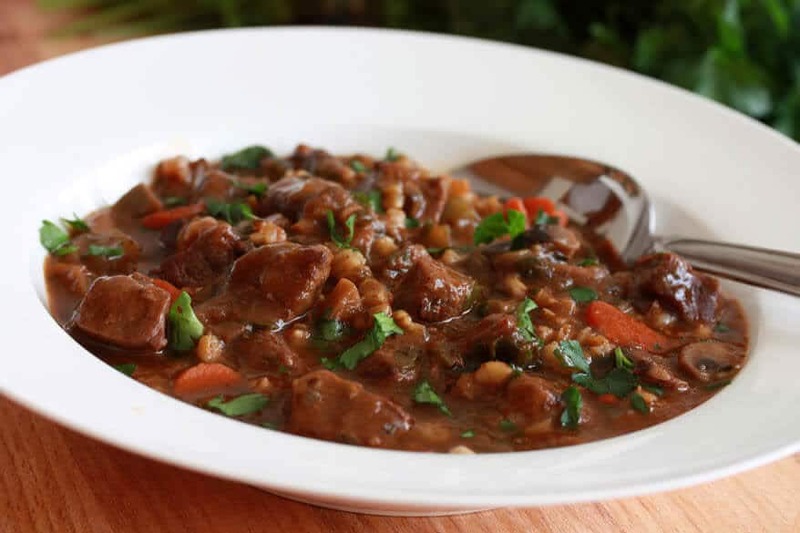 Try this delicious Hearty Beef and Barley Stew! It’s been so chilly in San Diego recently. I’ve been craving soup daily. Need to add this to the rotation. Looks so hearty and delicious!! I am such a soup lover. We have soup at least once a week year round. 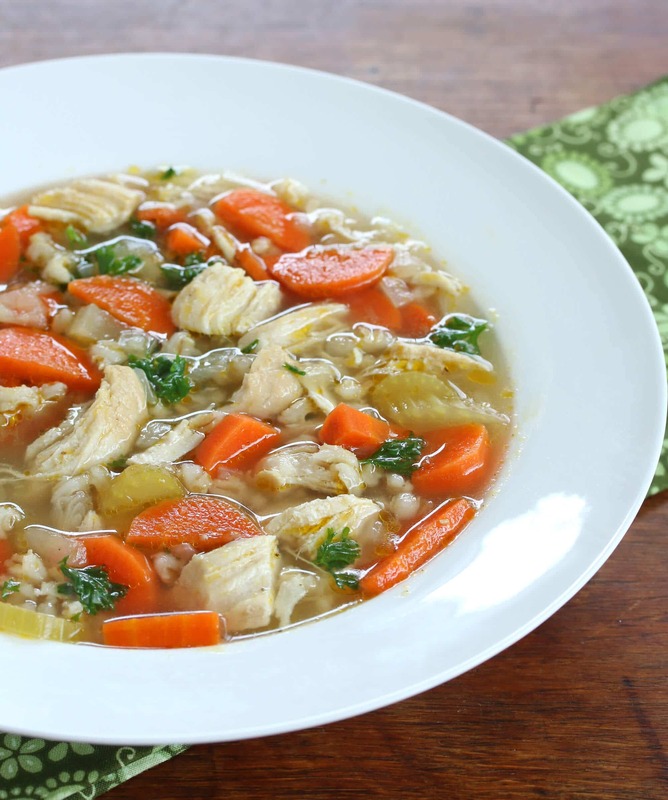 Both of your barley soups look fantastic. This is an old favorite that I haven’t made in years! I love how warm and nourishing your soup looks and the use of fresh herbs. This is comfort in a bowl. I just want to dive into the pictures! The broth looks so rich and lucious. Yum! I love warm, filling soups! This sounds like a great recipe for a rainy day! That’s a big bowl of comfort right there. 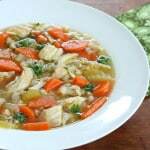 My mom used to make barley soup. Love that yours has chicken in it. I want to slurp about 3 bowls of this right this minute. It’s so cold here and all I can think about is how great this soup would be right now. It looks perfect! Just tried this soup recipe with pork instead. My 4yo loves it. Added pasta spirals to fill him up. Thank you for the lovely recipe. Wonderful, Joanna, I’m so glad your son enjoyed it, thank you! This was AMAZING!!!!! I substituted rotisserie chicken because I was feeling kinda lazy but I got raves from my family. I will be making this again! Fantastic, Ashley, thanks so much! 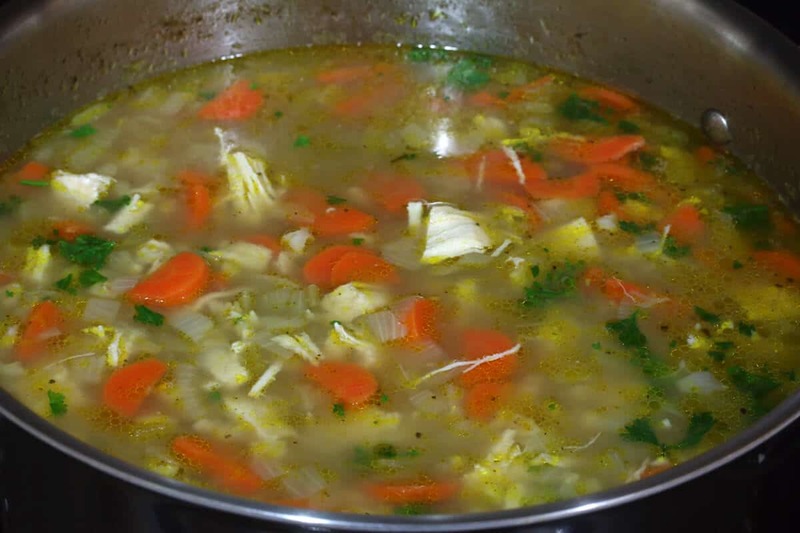 This soup is wonderful – I have been making it weekly and freezing it in individual containers! Fantastic, Teri, thanks so much! I forgot to rate it. The internet is world wide not just for Dumb Americans who can’t use a set of scales!! 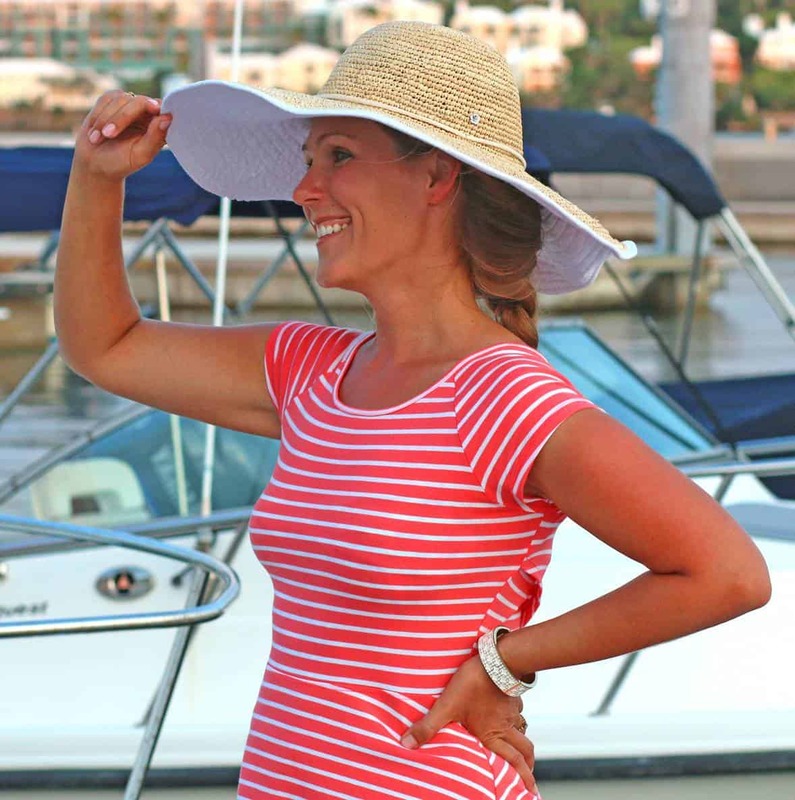 Ah, but my blog and I happen to be in America ;) And speaking of dumb versus smart, the measurements are easy enough to convert using a simple online calculator. That said, all of my recipes from the past year and forward have a conversion tool that does it automatically – the older recipes will eventually all have that feature as well, but it will take some time to go through 700+ recipes.